Jeffery D. Long is Professor of Religion and Asian Studies at Elizabethtown College, where he has taught since receiving his Ph.D. in the philosophy of religions from the University of Chicago Divinity School in the year 2000. Long is the author of three books–A Vision for Hinduism (2007), Jainism: An Introduction (2009), and The Historical Dictionary of Hinduism (2011). He is currently working on a two-volume introduction to Indian philosophy, including a textbook and a reader of primary sources. His other publications include over four dozen articles and reviews in various edited volumes and scholarly journals, including Prabuddha Bharata, the Journal of Vaishnava Studies, the Journal of Religion, and the Journal of the American Academy of Religion. He has taught in the International Summer School for Jain Studies in New Delhi, India, lectured at the Siddhachalam Jain Tirth, in Blairstown, New Jersey, and in April 2013, he delivered the inaugural Virchand Gandhi Lecture in Jain Studies at the Claremont School of Theology. This January, he spoke at the International Conference on Science and Jain Philosophy, held at the Indian Institute of Technology in Mumbai, India. 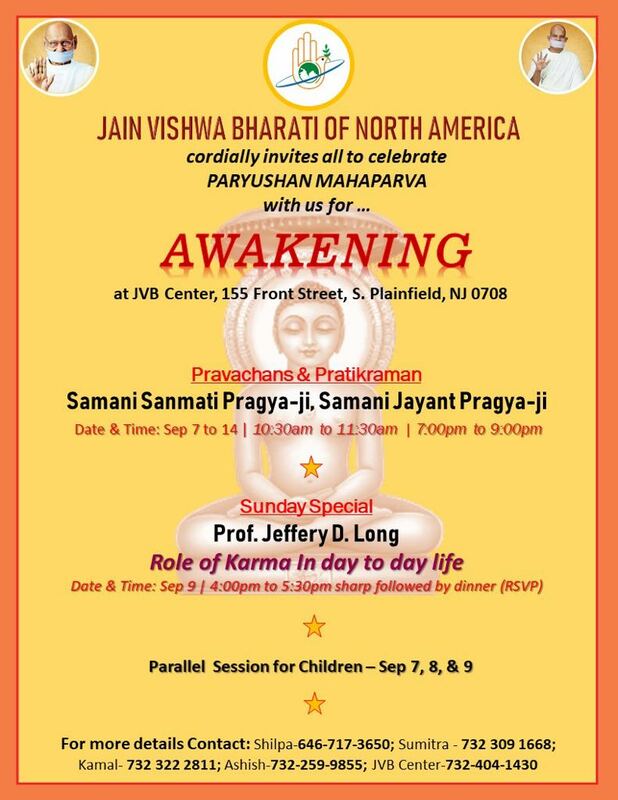 Copyright © 2018 Jain Vishwa Bharati of North America, All rights reserved.